There are too easy to find AKB48 news in English nowadays. But how about JKT48? First Indonesian and overseas AKB's sister group who has the 3rd biggest militant fans of musician ever after Slank Band and Iwan Fals. Years by years, they have desire to go International. JKT48 have now turned into 6 years since their debut performance in 2011. Lots of things, latest news, information that too bitter to be missed. We understand, day by day there also grow up the numbers of JKT48 fans from other countries. Yes we stand with you lads. 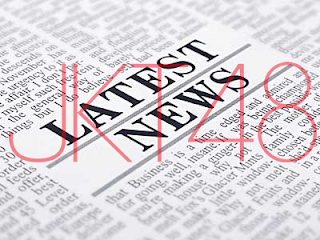 From now you don't need to worry about JKT48's latest news in English. We'll deliver you information, all of things about them. Despite the most of this are news type, we also have some opinion in our blog column. Everyone are welcome to send their own opinion by article via email ShukanBunshun.com@gmail.com. However, because most of us have bad English. So we need your understanding and cooperation. These site JKT48 Stuff is more like forum with some thread you're available to post. Yes, its free to register and post New Thread, Discussion, and the most important thing is they doing it in English.